`Padi Padi Leche Manasu` is an average Romantic Drama. 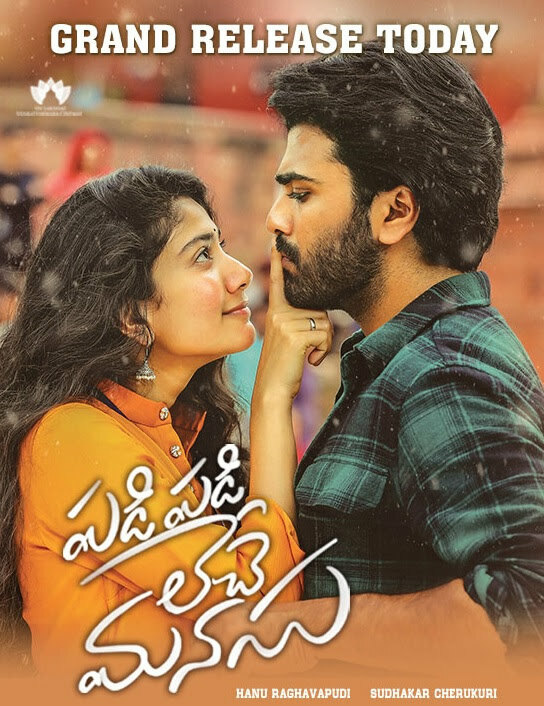 Surya (Sharwanand) falls for Vaishali (Sai Pallavi) and tries all the tricks in the trade to woo her. Vaishali resists initially but eventually starts to love him. But everything is not what it seems with Surya having second thoughts about Marriage. They decide to take a break and meet again an year or two later. There lies the twist in the tale with the Mother Nature having other plans. Sharwanand enacts his parts with comfortable ease. He is especially good in romantic episodes. Sai Pallavi continues to make a strong impact, will charm and impress the audiences. `Padi Padi Leche Manasu` (PPLM) is the most commercially driven film made by Hanu R so far in his short career. The film rides on its Lead Pair chemistry supported by Decent Music. The 1st Half of the film is decent despite some issues with its pace. The later parts could have been dealt in a better manner. PPLM has an interesting story which was let down by ordinary execution with uneven and at times confusing Narration. Nevertheless this still has enough in it to be worth a try. PPLM also features some decent entertainment and it all comes down to personal preferences. You may watch it. With Worldwide Theatricals Value at 22.5 Cr, this may become an average at best.